Jessica Long, 20, is the daughter of Gary and Jennifer Long from Tyrone, PA. She is a 2009 graduate of Bishop Guilfoyle Catholic High School and has an Associate’s degree in Business Administration, with a focus in Marketing, from South Hill School of Business and Technology. She and her family have been beekeepers for two years. Jessica was a student ambassador, student tutor, was on the Dean’s List, is a Relay for Life Captain and was named a Future Business Leader of America. 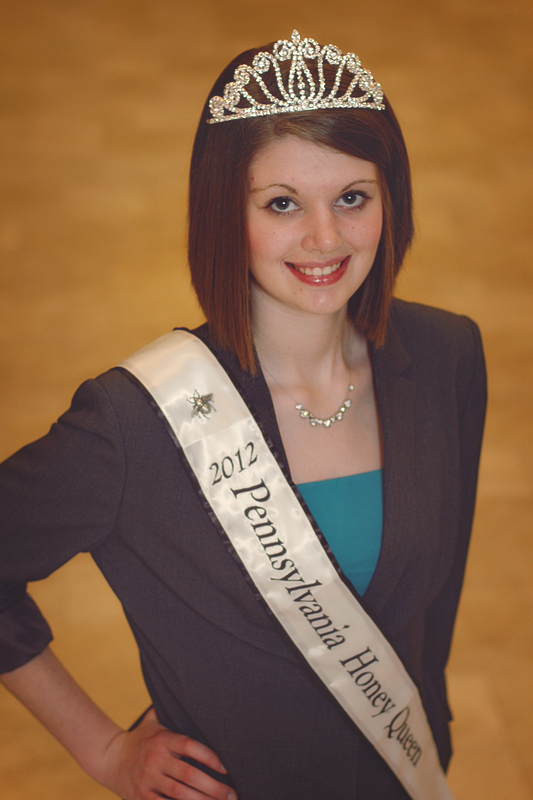 As the 2012 Pennsylvania Honey Queen, Jessica will travel throughout the Commonwealth promoting the beekeeping and honey industries.